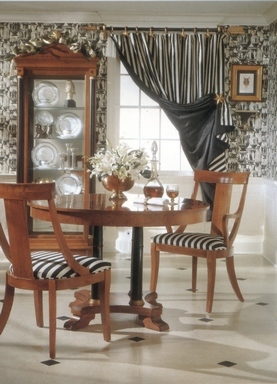 The first thing that grabbed my attention are the cute striped curtains which seem strict and pretty at the same time. And they go perfectly with the wooden furnirure and other interior items. So this room with a hint of retro style looks very stylish.